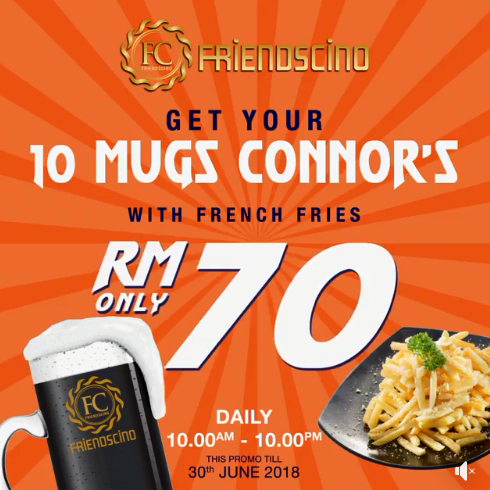 Friendscino Sri Petaling offered a CHEAPEST BEER deal: Get 10 Mugs (330ml) of Connor's with French fries, just RM 70 only, valid until 30 June 2018. 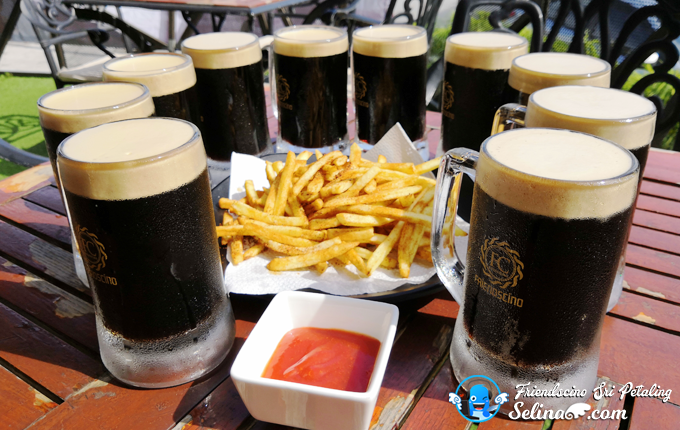 Jom, you get your friends to grab this awesome offer since you and your friends are beer lovers! After work, you all can eat the snack with drink Connor's Stout! 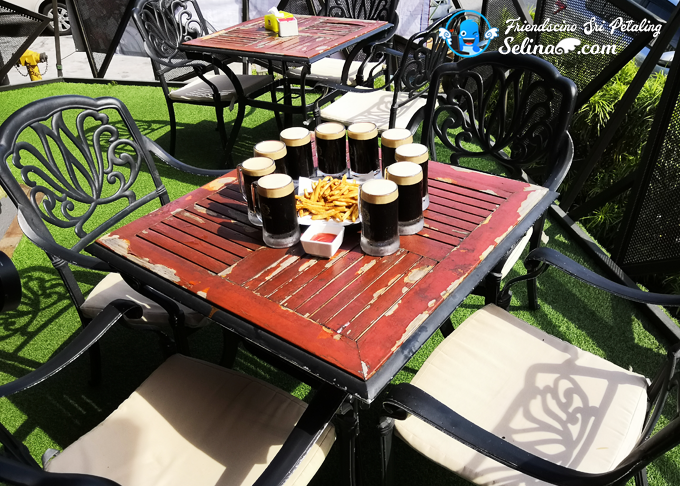 Or you enjoy to celebrate your team football 's victory with your friends who enjoy to drink more beer during football fever ⚽ at every night! 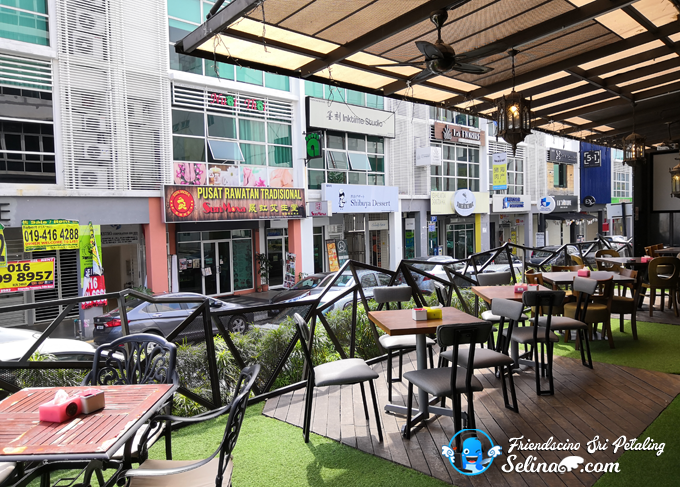 Friendscino Sri Petaling is located along Jalan Radius 3, opposite The Store Mall. 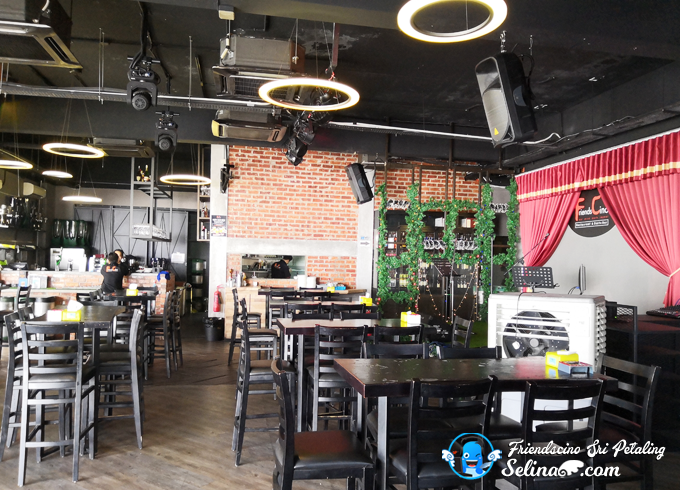 First time, my good friends and I went to Friendscino restaurant and bar there. 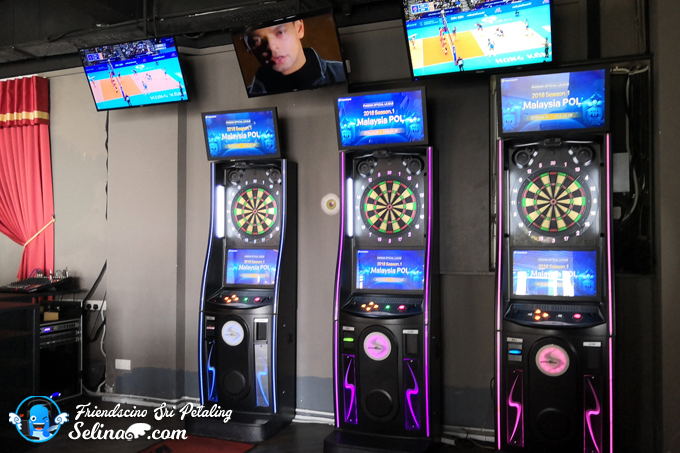 Their interiors design looks as cool bar and music live, filled with the fun environment, such as darts decks, surf free wifi, and games. 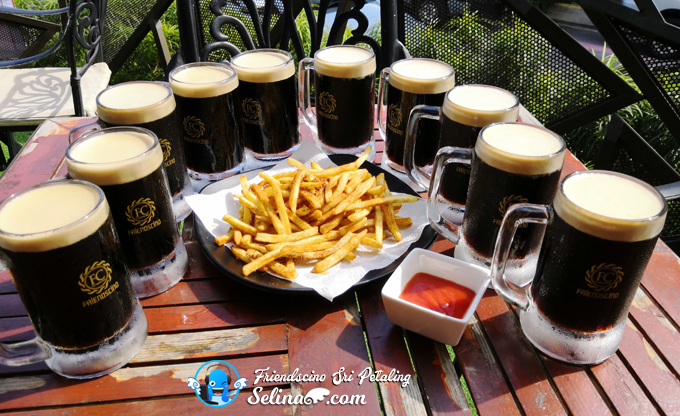 If you love to drink beer, they also offered the full range of German & Belgium Beers and liquor! 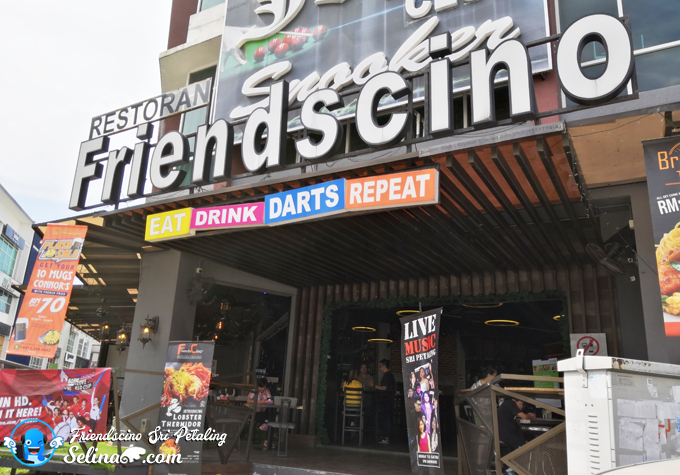 More surprisingly, Friendscino's menu book is thick and give many choices around 100 delicious dishes so awesome! 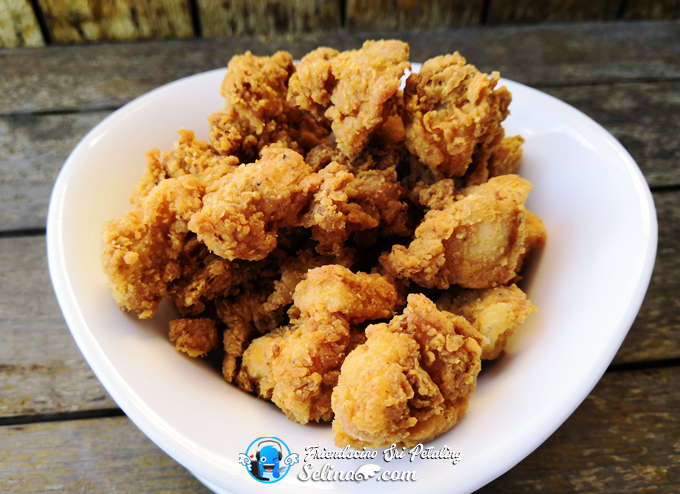 Like the Western, Asian, and more fusion which are suitable for all race of Malaysian. 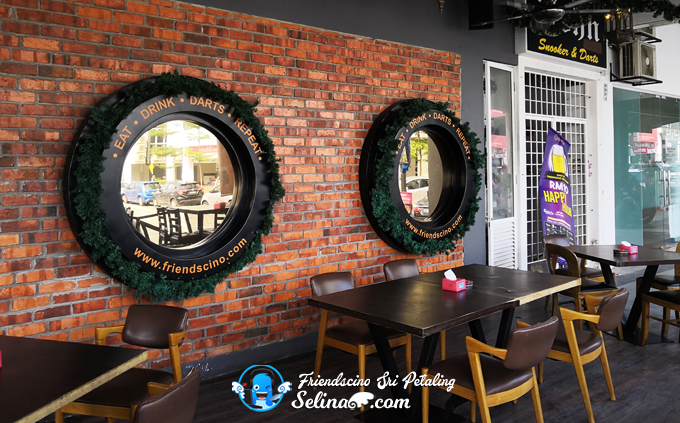 Last time, I remembered that my family and I went to Friendscino Cafe before. Long time I don't go there. 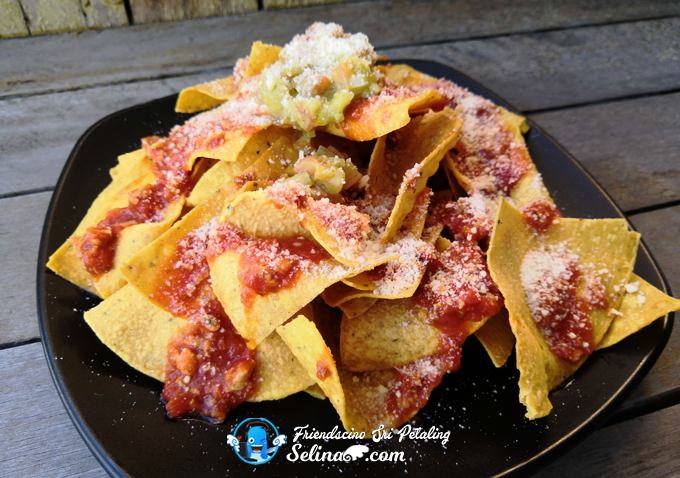 You know Friendscino is a combination words of "Friends" + "Culture Is Not Optional (CINO)". I noticed that it redesign like casual & modern dining environment, which be suitable for a family and couple! 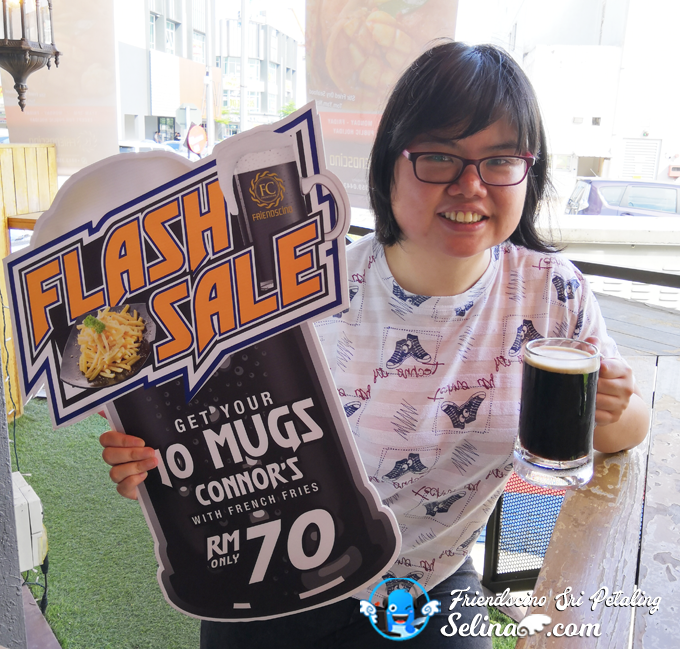 CHEAPEST BEER DEAL: Get 10 Mugs of Connor's (330ml) with French fries worth RM70 only NOW! FIFA World Cup Match ⚽ will be aired at TV on this awesome June of 2018! Come to drink beer and watch your favorite team's match! Never miss it, ya! French fries with the spicy sauce! Delicious so soft! I want more fries again. 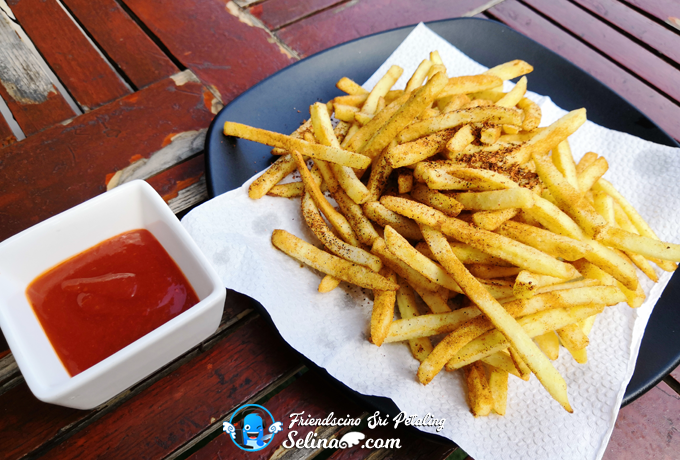 If you still be hungry after you have french fries, you can order add-on snacks. You pay extra when you want more snacks only. You can have late dinner too. For me, it looks like Mexican-style Taco snack!